When his good friend John “the chap who married Pocahontas” Rolfe advises him to go to Jamestown to get a wife off the bride-ship from England, Captain Ralph Percy takes some convincing—but turns up anyway to meet the ship with a vague idea of some nice, gentle English milkmaid with a sweet disposition and a dab hand at butter-making. Instead he ends up married to a beautiful, haughty runaway heiress, with the implacable enemy she was supposed to marry in the first place trying to kill him, the Jamestown authorities reluctantly obliged to clap him in irons, his own servant trying to assassinate him, and a long path set with dangers including but not limited to pirates, Indians, and poisoners. When it first appeared in print, To Have and To Hold was published as a serial. Accordingly, something thrilling is contractually obliged to happen once per chapter. Although the story takes a few chapters to work up steam, it soon becomes an absolutely gripping affair full of romance and adventure. 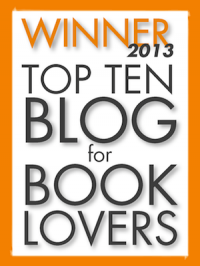 Books like these are the reason why I write this blog. 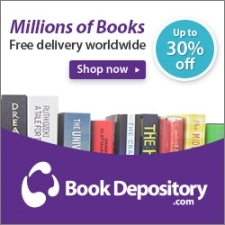 I myself stumbled upon it purely by mistake, having found it at the top of a list of AD1900 bestsellers, and had no way of knowing whether it would be any good or not. As it turned out, it was well worth the effort. The story is set in colonial Virginia, just twelve or so years after the settlement of Jamestown. In some ways it is very similar to John Buchan's Salute to Adventurers—so similar, in fact, that they could almost be responses to the same assignment: Write a thrilling tale of pirates, Indians, and romance in colonial Virginia. Include at least one duel and a no-holds-barred depiction of manly Christianity. Submissions to be returned no later than 1915. Because the plot is so episodic, and takes so many, many twists and turns, I shall try not to give much of it away here. Instead I want to focus on a few of the main characters. This book has long held a special place in my heart. I have read a very large quantity of books in my lifetime, and to date this is the only work I have ever read in which someone is hit in the face during a drawing-room brawl with a volume of St Chrysostom's theology. 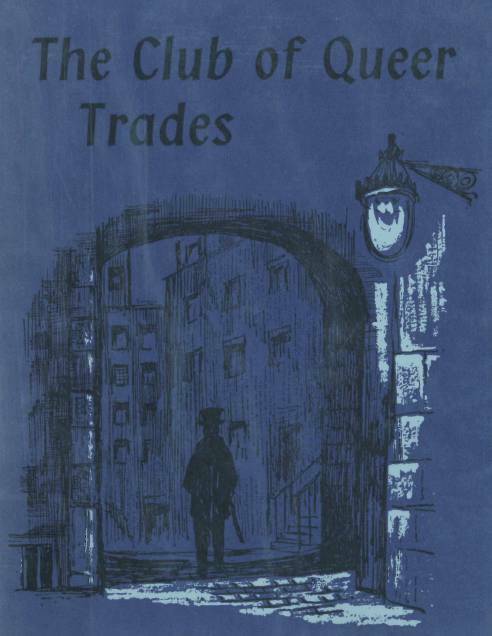 The Club of Queer Trades is a fairly small book in a typical Chestertonian tone. The six short stories of which it is composed are something like detective stories and something like Sherlock Holmes parodies and something like neither. Even the titles ("The Tremendous Adventures of Major Brown", "The Eccentric Seclusion of the Old Lady," "The Awful Reason of the Vicar's Visit") are reminiscent of the Sherlock Holmes stories. Then you have the cast--the narrator, known to friends as "the Cherub", who one assumes to be a middle-aged gentleman-about-town; the sharp, brilliant, empirically-minded detective, Rupert Grant; and his vague and visionary older brother Basil. One might almost suppose oneself in the company of Holmes, Watson, and Mycroft themselves. Except that Chesterton has put the usual twist on the stories. I have long felt a little fed up with Sherlock Holmes, who so infallibly deduces perfect truth from unambiguous facts, in the bad old Thomistic tradition of reason as an infallible guide. Now Chesterton was in fact a fan of Aquinas, but he was not as misguided. In Chesterton stories, human reason is almost never able to arrive at truth; revelation, or an intuitive leap, is necessary. Facts are never unambiguous. "It's a matter of fact," cried the other in an agony of reasonableness. "Facts," murmured Basil, like one mentioning some strange, far-off animals, "how facts obscure the truth. I may be silly---in fact, I'm off my head---but I never could believe in that man---what's his name, in those capital stories?---Sherlock Holmes. Every detail points to something, certainly; but generally to the wrong thing. Facts point in all directions, it seems to me, like the thousands of twigs on a tree. It's only the life of the tree that has unity and goes up---only the green blood that springs, like a fountain, at the stars." 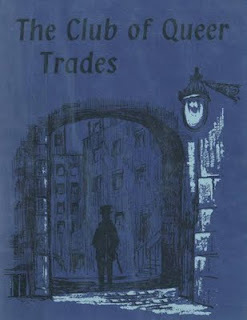 And that is the unifying theme of the novel, and the general plot follows the Cherub as he dashes around London with one or the other of the Grant brothers, one hot on the trail of imagined crimes and the other genially uncovering perfectly benign--but quirky and wonderful--mysteries. Behind all of them looms the shadowy form of the Club of Queer Trades--a club of which it is the only condition of entry that you must have invented a wholly new and unusual mode of income. Major Brown retires from a life of thrilling adventure in India to his heart's desire--a prim little house surrounded by prim little rows of pansies. Then when he peers over the wall of the house next door, the message "Death to Major Brown" leaps out at him. Who is the mysterious lady in the green dress? Where does the jackal dwell? Whence the sinister strangling-attempt in the dark? This is a quick read, but most enjoyable, stuffed with the usual Chestertonian wit and wisdom. When digging around for an adjective to describe Rafael Sabatini's works, I keep coming up with the word “trashy”. Even when they are very, very good, they are still just the fairy floss, the costume jewellery, of literature. Sometimes Sabatini's characters are more believable, his dangers more frightening, or his themes more profound; sometimes, he simply delivers a work that irks more than it pleases. Such is Fortune's Fool. Colonel Holles is...where to start, really? A terrible blow in his youth sent him reeling from a good career in Cromwell's army into a more desperate and dissolute existence as a mercenary in the Low Countries. 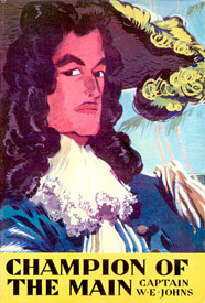 Having wasted ten years of his life, he drifts back to his homeland when Holland goes to war with England, but his friends advise him not to seek military employment in England—he bears the same name as his father, a regicide, and if that name should come to the attention of Charles II, he might expect no mercy whatsoever. It may sound interesting, but this book is plagued by shoddy workmanship. Characters which have important roles to play in the first third, or half, of the book vanish never even to be seen again. The plot feels like a succession of smaller plots, not an overarching whole. And the drama sinks often to the lowest depths of maudlin sentimentality. Both the disjointedness and the sentimentality are actually built into the book's concept, which is right there in the title. 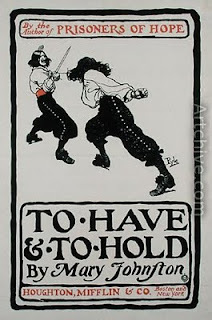 The title, by the way, is probably taken from a line in Romeo and Juliet—when Romeo kills Tybalt, and realises that he has just put himself forever beyond the acceptance of his bride's family, he cries, O, I am fortune's fool; this is Colonel Holles's watchword. Fate, Chance, Fortune, whatever you want to call it—the whole book turns on it. Luck giveth, and Luck snatcheth away. Mainly the latter. Because the book is about a man tossed about on the storms of chance, it really cannot have a Providential, tightly-woven, loose-ends-tucked-in narrative. And because Holles is the plaything of impersonal fate, nothing he does is his own fault. Repentance is only possible when one owns and acknowledges his sin; it becomes meaningless when, if only Fate had been kinder, the repentant one would never have found himself in his situation. The only alternative is remorse and maudlin self-pity, which bogs down the whole second half of the book as Colonel Holles struggles to rebound from his now deeply-entrenched dissolution. Well, that's a damnable lie. Virtue may be twisted. It may be superseded by a corresponding vice. But virtue itself can never cease to be a virtue; it is impossible to have too much of a truly good thing. One cannot, for example, give too much glory to God; that is the very reason of human existence. Nobody—nobody in or over creation—has ever been too virtuous; not Christ Himself. Though God is mentioned here and there in Fortune's Fool, He is clearly not enthroned. The book is deeply humanist in tone, borrowing more from classical tragedies depicting mankind as victims more sinned against than sinning than from the Truth. One by one, all the dreary milk-and-water tropes of humanism are checked off: sinful man as victim rather than criminal; blind chance pursuing this innocent victim; moderation in everything as the most sublime height of virtue possible; mere human allegiances set above every man's deepest and most awful duty to God. In addition to this, the book just isn't very well-written. Sabatini does grip you with the tale of his hero's terrible, terrible misadventures, and there is a duel scene that is as good as anything he has written, but the lead-up to this masterpiece of melodrama is slow, and the book meanders afterwards through the maudlin swamps of its hero's self-flagellation, which just gets tiresome towards the end, especially after the heroine has offered her forgiveness for the umpteenth time. Overall, the book had some nifty plot points I was glad to pick up and file away for future use. The heroine really is nice and sensible, and you've got to love the part where the Duke of Buckingham hires ruffians to assault her just so that he can come splendidly to the rescue and win her heart; and she sees through him like a windowpane, not taken in for a second—it's lovely! Also later on, she is rescued from his Hateful Embraces by one of the most original and grandly sensational occurrences in the history of fiction! I would almost recommend reading the middle part—chapters fifteen to twenty—just for the fun of it, and then leaving the book alone, as I cannot really recommend reading the whole thing. 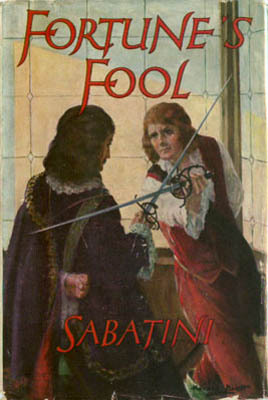 Fortune's Fool is not yet in the public domain. In John Buchan’s Mr Standfast (1919), Richard Hannay visits the Garden City of Biggleswick, and meets several intellectuals who oppose the War, among them an ‘unwholesome youth’ identified as ‘Aronson, the great novelist’. Aronson, the novelist, proved on acquaintance the worst kind of blighter. He considered himself a genius whom it was the duty of the country to support, and he sponged on his wretched relatives and anyone who would lend him money. He was always babbling about his sins, and pretty squalid they were. I should like to have flung him among a few good old-fashioned full-blooded sinners of my acquaintance; they would have scared him considerably. He told me that he sought ‘reality’ and ‘life’ and ‘truth’, but it was hard to see how he could know much about them, for he spent half the day in bed smoking cheap cigarettes, and the rest sunning himself in the admiration of half-witted girls. The creature was tuberculous in mind and body, and the only novel of his I read, pretty well turned my stomach. Mr Aronson’s strong point was jokes about the war. If he heard of any acquaintance who had joined up or was even doing war work his merriment knew no bounds. My fingers used to itch to box the little wretch’s ears. After this description, the character pretty well disappears from the novel, but there is surely enough there to suggest that Buchan might well have been thinking of D.H.Lawrence, also consumptive, also with a notoriously irregular love-life. The Rainbow had famously been prosecuted for its heated suggestions of lesbianism, and the words ‘reality’ and ‘life’ and ‘truth’ are the characteristic argot of vitalists like Lawrence and Middleton Murry. As for the sponging, perhaps Buchan had heard the story of how Lawrence had accepted the hospitality of the Meynells and repaid it by writing the hurtful ‘England, My England’ (1915). The offence that this story caused the Meynell family was greatly increased when Percy Lucas, who had been thinly disguised as the ineffective central character of the story, was killed on the Somme in 1916. There seem to be enough similarities between Lawrence and Aronson to suggest that in this paragraph Buchan is giving Lawrence a taste of his own medicine by putting an unflattering version of him into a work of fiction. The line "He was always babbling about his sins, and pretty squalid they were. I should like to have flung him among a few good old-fashioned full-blooded sinners of my acquaintance; they would have scared him considerably" has always been among my favourite things that Buchan ever wrote. Ever and anon, as life got me down, I would think of them and chuckle. It's lovely to know that they were actually aimed at DH Lawrence--a chap I have never read, because his novels always sounded so revolting. Nice to know I was right! This was not a long book, or a difficult one. I read it in the course of one Sunday morning, before and after church! I can, however, wholly recommend it. Champion of the Main opens in Port Royal, Jamaica, with our hero, fifteen-year-old Mark Lawson, learning that his father Colonel Lawson has vanished at sea, having fallen victim to the notorious pirate "Butcher" Rochelle. And Mark immediately knows why: when he and his father had built a home in Jamaica, they had sent for Mrs Lawson, and the ship she sailed on had been sunk with all hands by that same Rochelle. Since then, Colonel Lawson has invested in ships and cannonry and ever in his trading looked for a chance to bring Rochelle to justice. Captain Champion, a captain aboard one of the Colonel's ships, brings news to Mark of his father's fate. Angry, Mark goes to beard the governor of Port Royal, for it's no secret that the officials of Port Royal ignore Rochelle and are paid handsomely for it. Mark's impetuosity and an unlucky pass of Champion's sword result in their flight from Jamaica as wanted men. With British ports closed against them and the seas crawling with unfriendly Spaniards, the only course left is to turn buccaneer and look for Rochelle on their own account. Champion of the Main is a great boys' adventure story and one of the most enjoyable pirate yarns I've ever read. I was glued to the page from the first chapter and the plot is full of twists, turns, and gore. I was actually surprised by how good this was. I really liked the character of Mark. Captain Champion, who acts as his mentor throughout his desperate and determined search for his father, is the cool-headed older man who makes the cunning plans, rescues himself and Mark from a dozen life-or-death situations, and blenches at no peril; but Mark, because fallible, was a better character. Under his father's tuition, he has become a fearsome swordsman, which stands him in good stead many times during the novel; and apart from youthful hot-headedness, he is as determined and capable as a GA Henty hero. A little thing like the jungles of Panama, four hundred bloodthirsty pirates, and a small army of Spaniards is never going to stand between him and news of his father, pshaw! Fathers and sons is a major theme of this book. The plot is driven by filial impulses; even Rochelle and the Spanish commander have sons, and fathers and sons stand to fight and live or die together. It's interesting because I think Johns very deliberately ensured that he had no female characters in the story, and intended at all costs to avoid anything that might whiff of romance--a rule he rarely broke in all his children's books, though when he did break it he tended to become grandly sentimental. In the absence of the traditional storybook romance, what human ties are there to motivate the plot and characters? Johns decided on filial relationships, and filled his book with them. Despite this, it's interesting that Mark's father plays a very small part in the plot and the book is more about Mark's relationship with Captain Champion. Nevertheless, the two of them make a very engaging pair to read about. Champion of the Main is probably as rare as hen's teeth these days, and a collectable. But it's a great yarn, and if you have sons, a great investment. I always used to have trouble writing poetry. I think the problem before lay in not having anything to say. Now that I've figured that out, the poetry is easier. This poem does mean something, but before you ask, I had better tell you that I'm keeping it under my hat for now. Regardless, I hope you enjoy it. I haven't reviewed this book till now because it's one of those books that's almost impossible to review. Should I, for instance, summarise the plot? Well, half of you are going to know it by heart already. Should I drop a hint that this book is not at all badly written, that the characters are passably good, and that one might spend many an hour doing worse than reading it? Again, most of you probably know this already. Ah, well...let me try my best anyway. I knew about Pride and Prejudice long before I read it or knew what it was about. I thought it sounded pretty dry. I thought it might be a book-length essay on the stuff of its title. Well, I wasn't completely wrong: Pride and Prejudice is, in fact about those two vices. Not, as some people think, a romance. Not even wholly a comedy; but a character study with wit, plot, and laughter. I was introduced to it by the A Beka English Literature course. It was a big, shiny book with big, shiny pictures, and it caused me endless frustration. I had read Beowulf by the time I was twelve and so I knew, I knew the fifteen-page version they included must be severely abridged. After the one tantalising scene included from George Bernard Shaw's Pygmalion, I spent the next two or three years fruitlessly searching for a copy of the whole thing. I had already been interested in Edmund Spenser for a long time; so why did they include only the first book of the very first canto? And what on earth could have possessed them to include just five chapters of Pride and Prejudice? Even now I can only guess that the course must be intended for children who don't like reading. The book introduced me to many authors I would otherwise have met much later, and that five-chapter taste of Pride and Prejudice got me hooked on Austen, but why just study the first five chapters? Dear homeschooling mums, please don't spoonfeed your children with a chapter of this and a stanza of that. Fortunately, my own mother never used this course; she just let us flip through it on rainy afternoons, and the English Literature that we did take in we read for pleasure. But I digress. Pride and Prejudice was published at the end of the first century of the history of The Novel, and seems to fall naturally into that earlier period, with its restrained narrative voice, its careful realism, and its preoccupation with morality. Already by Jane Austen's time this older style of novel was fading and being replaced by the gothic works of Radclyffe, then later Shelley and the Brontes. There are five Bennet sisters—as we all know—and their two parents. Mr Bennet, the sarcastic one. Mrs Bennet, the foolish one. Jane, the pretty optimist. Elizabeth, our shrewd and witty heroine. Mary, the dull moralising one. Kitty, the weak one, and Lydia, the rash one. When a wealthy young man moves into the neighbourhood, Mrs Bennet immediately begins planning to marry him to one of her daughters (getting all five of her girls married is her first aim in life). Mr Bingley is obviously the perfect prospective son-in-law: not only does he dance two dances with Jane, but he also brings with him an even richer gentleman named Mr Darcy. Alas, Mr Darcy is proud and distant and insults Elizabeth at a dance, thus reducing his eligibility quotient from 10 to 0. Mrs Bennet is soon comforted by Mr Bingley's continued attentions to Jane, the arrival of a whole regiment of dashing officers at a nearby town, and the visit of Mr Collins, the clergyman to whom the Bennet estate is entailed, who wishes to marry one of the Bennet daughters in order to assure them of financial security after Mr Bennet's death. Elizabeth's own pride is injured by Mr Darcy's overheard words, and her prejudices are further raised when a handsome and plausible officer tells her how Darcy ruined his life. On his part, his own pride in his superior position, personality, and connections and his prejudice against the often foolish Bennet family begins to break down under a growing conviction that Elizabeth is the only woman who could make him happy. Will both of them navigate the pitfalls in the path of matrimonial success to live happily ever after? You bet. A lot of people love this book. And well they might. It's witty, frequently laugh-out-loud funny. It contains a good deal of wisdom, some very finely-drawn characters, and a quickly-moving plot with plenty of excitement. Oh, all right, I'll bite. It also contains a romance. Flipping though my commonplace book today, I alit upon a favourite stanza from a GK Chesterton poem, and knew I should share the whole thing. It is from The Flying Inn, and it is classic Chesterton. Humphrey Pump nodded, but still answered nothing; and the voice of the sprawling Dalroy took one of its upward turns of a sort of soaring flippancy; which commonly embodied itself in remembering some song he had composed. "Such," he said, "was the case of the late Mr. Mandragon, so long popular in English aristocratic society as a bluff and simple democrat from the West, until he was unfortunately sand-bagged by six men whose wives he had had shot by private detectives, on his incautiously landing on American soil. And wash him and brush him and shave him and dress him to live the Simple Life. But fame and the flagon for Mr. Mandragon obscured the Simple Life. "Mr. Mandragon the Millionaire, I am happy to say, is dead. When he might have rotted to flowers and fruit with Adam and all mankind. But these were luxuries lost for him that lived for the Simple Life." I spend a lot of time in the car driving myself and my sister to band and music lessons an hour's drive away, so when I discovered Librivox.org I was thrilled. Finally, a way for a driver to read on long trips! 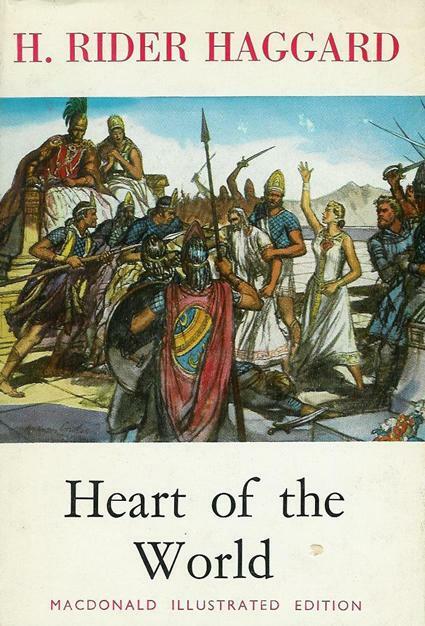 The first book I chose for the two of us to hear was this one--Heart of the World by H Rider Haggard, a tale of adventure, passion, and lost civilisations in the heart of Central America. The narrator is Ignacio, the last descendant of Montezuma, who was the last Aztec emperor. From his father, murdered by Spaniards, Ignacio receives half of a heart-shaped emerald, which is the token of Aztec kingship. Ignacio's grand youthful plans to unite the Indians against Spanish rule, drive them out, and set up a great Indian nation from sea to sea, stronger now than ever before in the worship of the true God, are devastated when his wife betrays him to a Spaniard. Now Ignacio wanders his homeland with only the rags of lordship, bereft of the treasure he so carefully accumulated and without which he cannot hope to accomplish his goals. In his wandering Ignacio makes the acquaintance of an Englishman, James Strickland. They save each other's lives and swear brotherhood, so when Strickland loses his job as mining-foreman and when Ignacio's foster brother Molas arrives with astonishing news, the three of them set out together in search of fortune and adventure. For the news Molas brings is the news that he has found the other half of the emerald heart, of which it was said that when the two were joined together upon the altar of the lost city Heart-of-the-World, called El Dorado by the Spaniards, the Indian race would rise up in new vigour to rebuild their empire. The jewel is in the keeping of Zibalbay, an old Indian medicine man who claims to have come from that secret city, and of his daughter Maya, a girl of incredible beauty. Ignacio, Molas, and Strickland face storm and outlaws on their quest to find the medicine man, the girl, and the jewel. But the real danger lies beyond the jungle, the desert, and the mountains, in the legendary city. This book was absolutely thrilling--we loved every minute of it. Haggard is a great writer, and ratchets the suspense up with every chapter--he's particularly good at foreshadowing, and often tosses off a casual remark to the effect that in another few chapters, our heroes will face death in this very room, did they but know it!!! 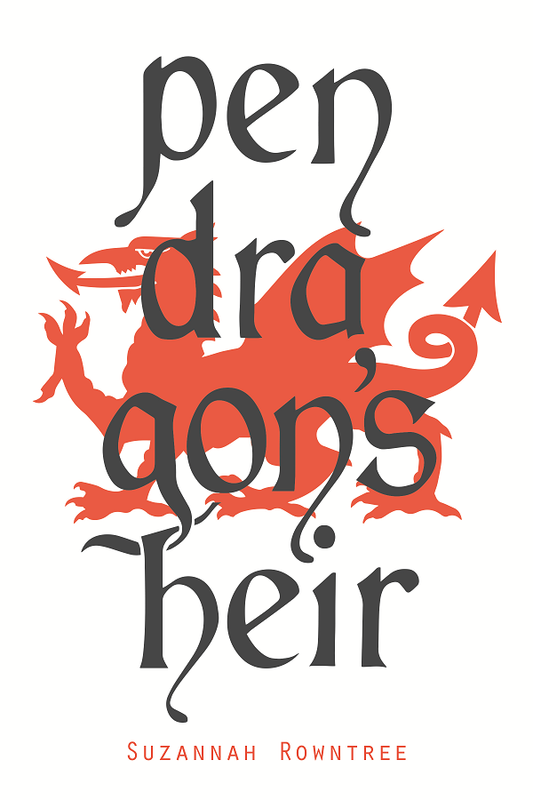 There are outlaws, duels, secret paths through mountains, assassination attempts, and more. The chapter describing the departure of Molas alone is worth the price of admission. I'm going to go more in-depth into the plot here, in order to explain how this book is so satisfying, as well as exciting. It's not really a spoiler to give away the fact that the overriding theme of the book is the grand love affair between Strickland and the girl Maya, but you may like to stop here if you wish to avoid general spoilers.